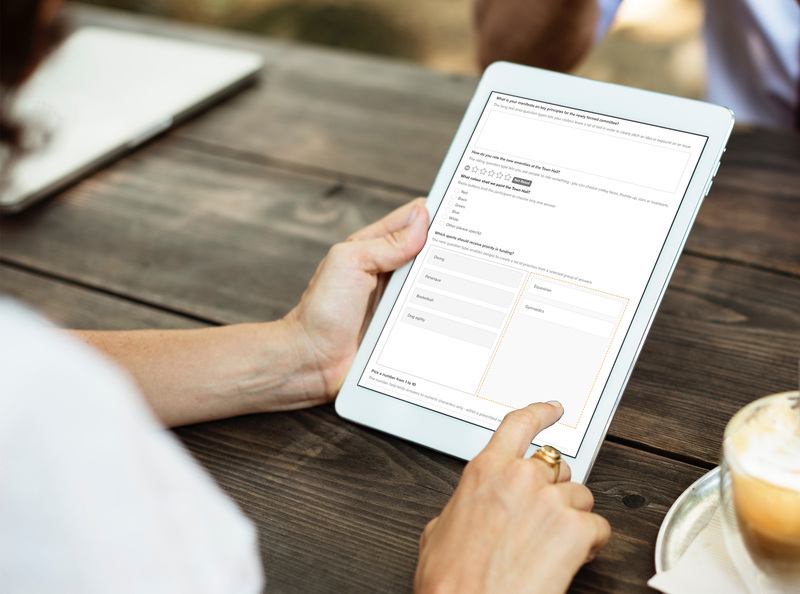 Build simple web forms or complex surveys using the dynamic form-building app. Our dynamic web builder helps you create flexible forms and surveys using over 15 question types. 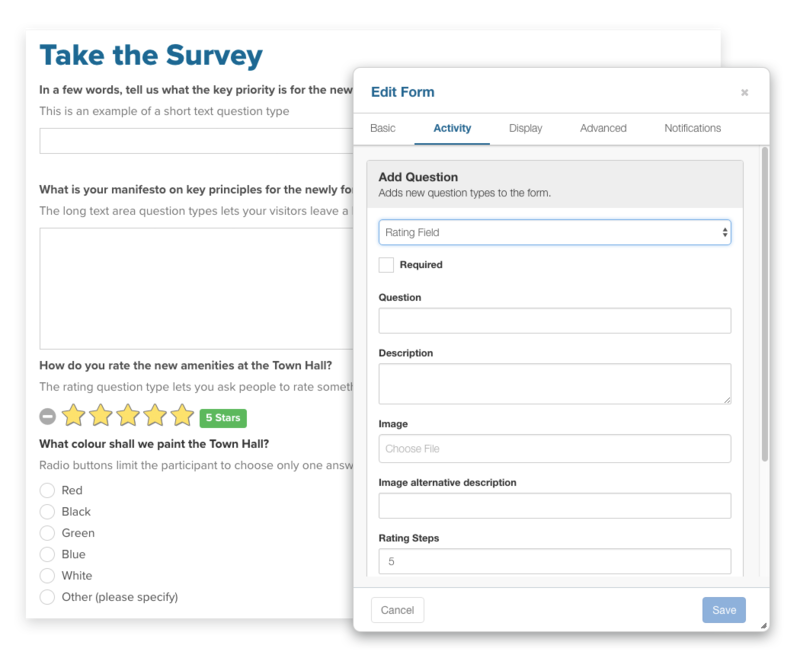 With the ability to create form sections and add detailed descriptions and images to each question, you can create engaging surveys to collect information. Short answer text such as a word or small sentence (e.g. name, title, city, etc.). Open-ended questions that require long-text answers. Validated numerical responses such as postal codes or dollar values. Single responses to a set or pre-defined options. Multiple responses to a predefined set of options, tucked neatly into a dropdown. A yes / no tickbox. Multiple responses to a predefined set of options. 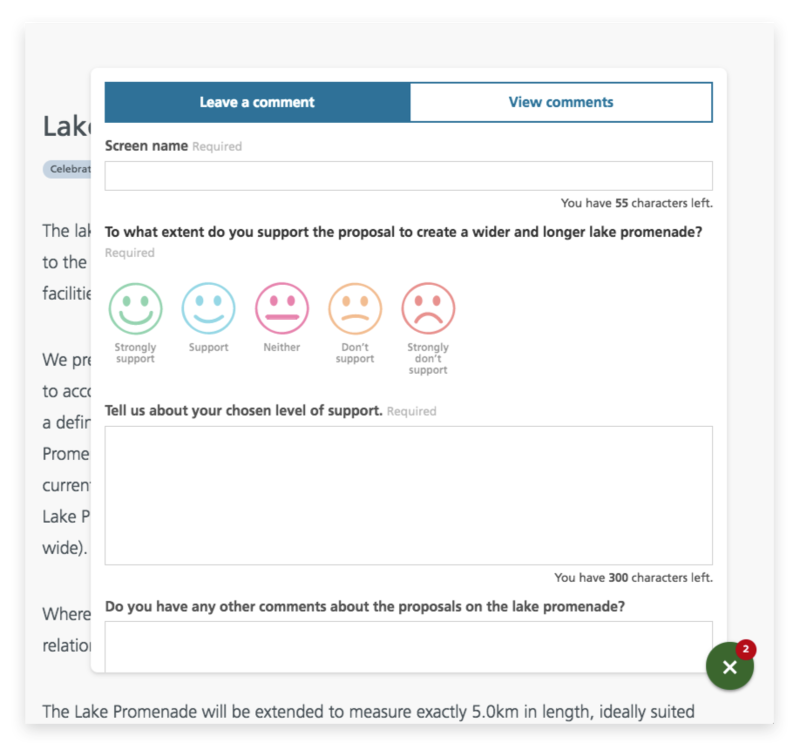 Have users provide a stepped rating to a question with start, thumbs up, smileys, hearts and more. Have users prioritise a list of pre-defined options in order of priority. Collect files such as images and documents from users. Validate a numeric phone number. Validate a date with time input. Provide interactivity on your site and get users to rate ideas, proposals or other items using a stepped rating scale. Choose from stars, thumbs and smileys to add a fun and useful interaction to your websites. Uncover what’s important to your audience by having them rank a list of items using the ranking question type. Users indicate priorities and preferences by dragging and dropping a list of items into an ordered, ranked list. Add standardised demographic questions to the form that will automatically be pulled into the user profile of registered users. Send users a copy of their form submission for their records. Get notified when you have received a new form submission by getting notified directly in your inbox.